Áine CainI was one hell of a mess by the end of the week. This year, I spent several days going through hell. To clarify, no I didn’t train to become a Navy SEAL or get hazed by a frat. “Hell Week” is a book that promises to unlock your best self in seven days, by author and former Norwegian paratrooper Erik Bertrand Larssen. The book itself is a breezy read, sprinkled with quotes about overcoming adversity and inspirational stories (no discouraging, “Abandon all hope, ye who enter here,” stuff like that other book on hell). The main feature of the book is its “Hell Week” schedule. If you adhere to it, the exercise promises to boost your professional and personal success. Two other sections detail life before and post-Hell Week. I admit I kind of skimmed over those parts. I usually like to just jump into things. It’s really not a positive trait … especially in this instance. I started showing up at work earlier than usual. 1. Go to sleep at 10 p.m. and rise at 5 a.m. That's seven hours of sleep every night. 3. 'Exercise to the extreme.' This means exercising every day for a minimum of one hour. Two of those sessions should be high-intensity. 4. Eat healthy foods. Junk food is out. So is booze. 5. 'Take charge of your digital life.' Larssen bans personal use of social media during work hours, as well as all television. 6. 'Get hyper-focused.' Try to give everything you're doing your undivided attention. 7. 'Step up your game.' You've got to be in it all the way. This means putting in hard work, dedication, proactivity, positivity, and focus. One other game-changing rule: You've got to stay up all night on Thursday, which the book describes as the 'toughest day' of the week. You're supposed to be super productive and contemplative throughout the night. However, in the book, Larssen notes that you shouldn't try the all-nighter if it could jeopardize your health. My health is fine. 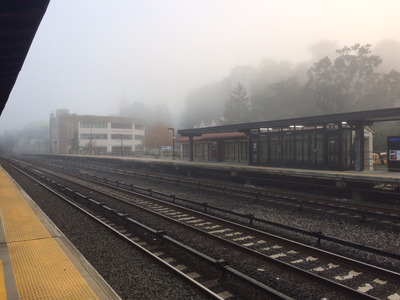 The commuter train station, shrouded in an early morning fog. I went to bed way too late on Sunday night, but otherwise things got off to a relatively good start. I woke up at 5 a.m. (check!) and headed to the train station. 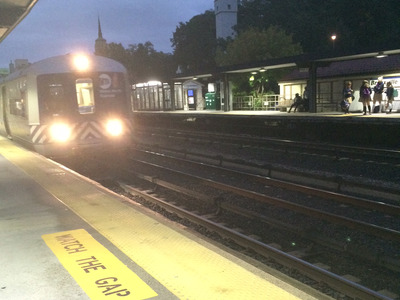 I caught an earlier train than usual and arrived at Business Insider's office before the lights had even flicked on. I skipped lunch altogether to get more things done. Later that day, I jogged around town on my way back home. That was my exercise for the day. Not the best first day, but not the worst, either. 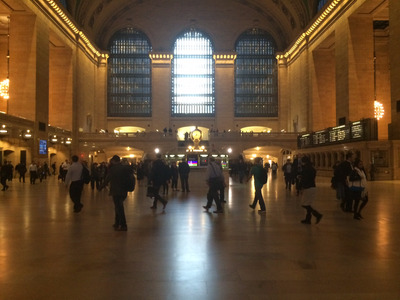 At least Grand Central was less crowded. Tuesday, I slept through my alarm and woke up 30 minutes late. Oops. I then proceeded to forget my phone at home, which is not against the 'Hell Week' rules but still isn't ideal. Rough start. I'm not sure if I looked my best this day -- or any day throughout the week, for that matter. I wasn't about to go around the office asking people what they thought of my look (cringe!). The book says that you don't have to rush out and buy a new wardrobe, but it does recommend brushed hair, manicured fingernails, and ironed shirts. I definitely did one of those things. My exercise of the day involved power-walking from Grand Central to work and then half-heartedly jogging from the train station to my house. My head wasn't in the game on Tuesday. The Metro North was also less packed early in the morning. On Wednesday, I realised I'm one of those people who needs eight hours of sleep rather than seven. That one hour makes a big difference. I had been tired since Monday, and my college self would be appalled. The fact that I was constantly tired made it harder to do the other elements of the challenge. Hell Week requires you to expend a fair amount of willpower every day, especially for things like getting 'hyper-focused' and 'stepping up your game' but also for the basics, like working out. Even if you're just slightly more fatigued than usual, it can be the difference between going on an hour-long run and giving up halfway and walking -- which is what I frequently did, essentially skipping the intense exercise portion of Hell Week. 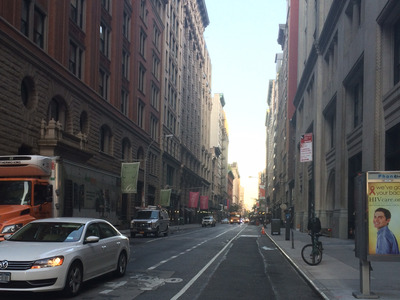 One day, I rationalized that it was just as good to shuffle home uphill with a backpack. If anything, 'Hell Week' has made me realise that I can pretty much rationalize anything to myself. 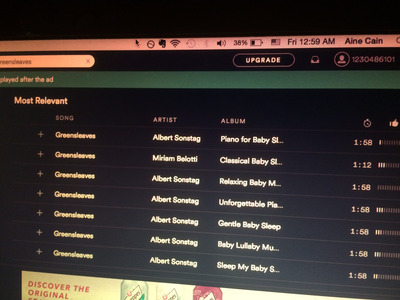 'Greensleeves' is a pretty dope song. Thursday was the big night. I was feeling pretty ragged, but I got through the day just fine. Once I got home, it was time to get ready for the all-nighter. From sophomore year of high school to senior year of college, I was pretty much a pro at all-nighters. I tended to take edicts like 'you can't start this essay the night before it's due' as challenges, rather than warnings. Post-college, however, I believe I've lost that superpower. As the hours ticked on, I worried that I'd just fall asleep. I'm not going to lie. I didn't get much productive work done that night. Mostly, I switched between watching 'Columbo' and 'Murder, She Wrote' on Netflix and doing a bit of writing while listening to different versions of 'Greensleeves' on Spotify. I also cheated and drank a lot of tea and ate a good number of Kit-Kats in a bid to stay awake. Other than the Kit-Kat incident, I was pretty good at giving up unhealthy foods throughout the week, for the most part. I mostly just ate a granola bar or two during the workday and then had dinner at home. I barely noticed that part of the challenge. In retrospect, yeah, my mind was a bit fried at that point. Here's some proof that I was in early. Having taken Lionel Richie's advice and stayed up all night long, I was pretty burned out the next morning. 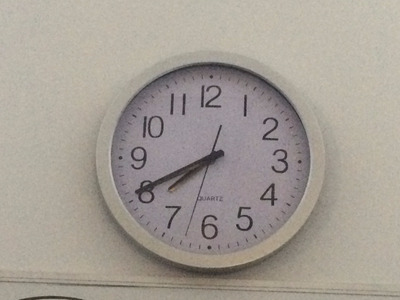 When I arrived at work, I walked around taking some pictures of clocks to prove how early I was there (and collect some photos for this post). The morning flew by. In terms of job productivity over the course of the week, I think I mostly stayed the same in terms of the quantity of my output. I was too scared to ask my boss about the quality, but I imagine I would have heard something had it suffered. To cap things off, I nearly fell asleep and missed my stop on the train ride back home. There is one aspect of Hell Week in which I excelled: taking charge of my digital life. Yeah, I know we're supposed to all be addicted to our platforms, but I didn't even think about checking my Facebook or Twitter. Same goes for television. I love my shows, but most of my favourites aren't airing right now. Plus, I typically don't have a ton of time to devote to Netflix. Giving up TV for a week wasn't a hardship. 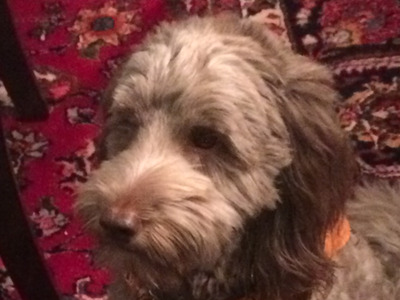 My dog is considerably more photogenic than I am. On Saturday, I woke up at 5 a.m. as usual and went downstairs. I was going to take a selfie, but at that point I looked a bit like a zombie extra on 'The Walking Dead.' So I took a picture of my dog instead (he always looks Instagram-worthy). After that, I cheated and went right back upstairs and fell asleep. At this point, my willpower was pretty much gone. To be honest, I hadn't even realised at first that the weekend was a part of 'Hell Week.' I'd first read that fact on Friday night, so my heart just wasn't in it. Saturday was a bust, but I kept to most of the rules on Sunday. 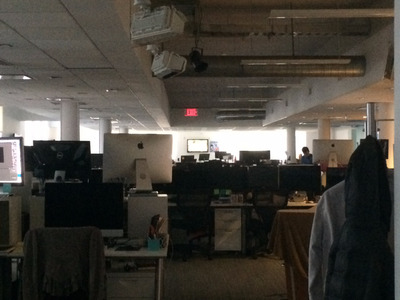 I felt kind of creepy chilling in Business Insider's dimly lit office every morning. Let's not sugarcoat it: I totally failed at Hell Week in almost every way imaginable. I don't want to knock the concept. 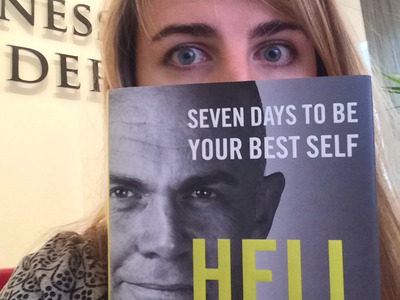 The book helpfully breaks down what your mindset and focus should be on every day. I just wasn't a very good experimenter. And, as Larssen notes, 'there's no margin for error' during Hell Week. You either follow the rules and get results, or you don't. This will sound like an excuse (I can just see Larssen staring out of the book cover, judging me), but I just don't think I had the time or the state of mind to really tackle this challenge. You really need to be in the right frame of mind to have it work for you. I'd have probably been better off working up to Hell Week, rather than jumping straight in. Even though I had mixed results, I'm glad I tried Larssen's method. If you really needed to turn some aspect of your life around, a week of exercise, healthy eating, and solid sleep habits couldn't hurt. Then again, what is it they say? The road to hell is paved with good intentions.